1963. One of the 20th century’s greatest, most glamorous and tempestuous romances, played out in the glare of the media spotlight. Lust, booze, ­diamonds, yachts, jealousy – it had them all. I have been inordinately lucky all my life but the greatest luck of all has been Elizabeth. She has turned me into a model man but not a prig, she is a wildly exciting lover-mistress, she is shy and witty, she is nobody’s fool. The couple will go on to divorce in 1974, re-marry in 1975 and divorce again less than a year later. 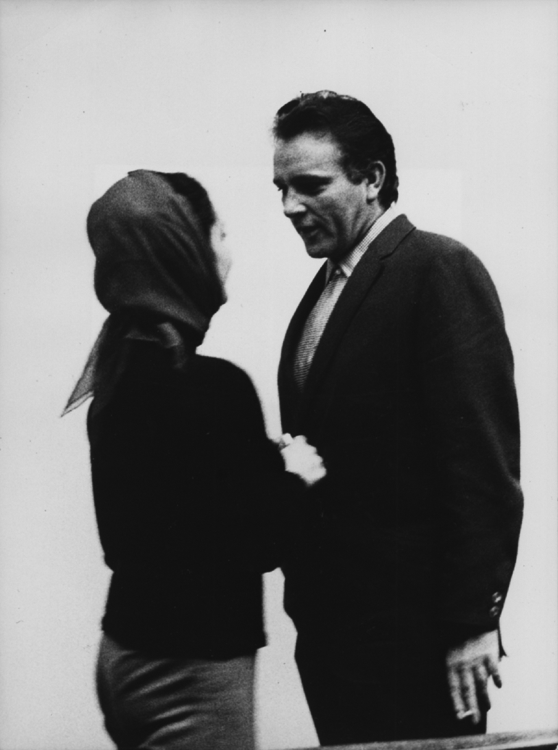 Welsh actor Richard Burton, aged 38, pictured with 31-year old British born Elizabeth Taylor. Their names have been romantically linked by the world’s press since they met in Rome during the filming of “Cleopatra”. In December 1963, Richard Burton’s wife, Sybil, obtained a divorce from the actor.